Geonosis 3rd Phase - What Do We Do? Team Balancing / Matchmaking Fixes better be in next Update. Team Balancing with the next update? The PLAYERS are more damaging than EA. Please clarify what EXACTLY is in each version of the game. Would Battlefront be better if Star Card cooldowns were doubled? 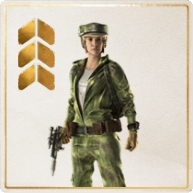 A New Base Command Challenge - Do You Have What it Takes?